These days we use smartphones in incredibly ways—some use it just for socializing and contact while others have turned their devices into full-fledged workstations. We still use computers and other hardware for most of our daily activities and work duties, however, which can easily cause us to neglect the safety and protection of our beloved smartphones. Whether it’s simply making a back-up or even scanning your device for viruses, there are still people out there who don’t feel the neccesity to keep their phones quite up to speed. Maybe it’s the fact that these tools are so spread out over the gigantic app market or maybe it’s simply the fact they don’t know any better. Luckily there is software out there that can help you with this, that’s why we’re reviewing Tenorshare iPhone Care Pro for you today. 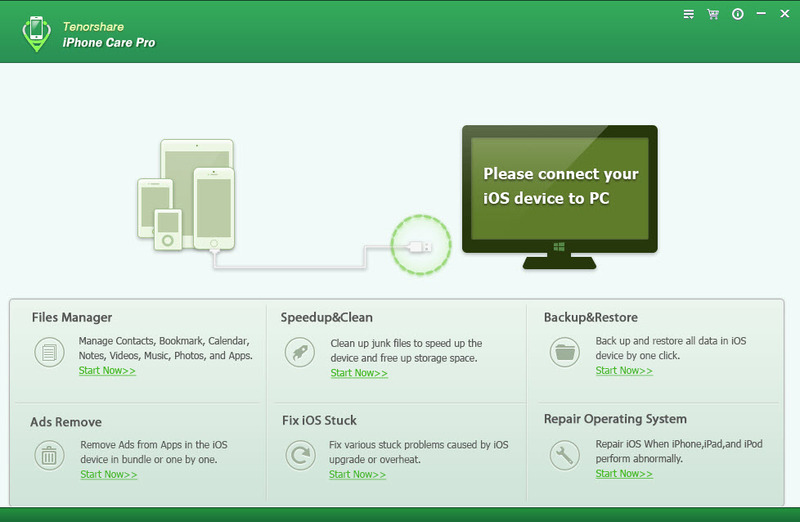 A one-stop workstation to keep your iOS phone up-to-date, clean as a whistle. After a very quick and easy installation it only took me a few seconds to get Tenorshare up and running. Right from the bat the features of the software look amazing, and while the software was updating my iTunes files I could easily find some time to get my phone ready to connect to Tenorshare. Once connected, there were a lot of things that I noticed I hadn’t done in a long time for my device. 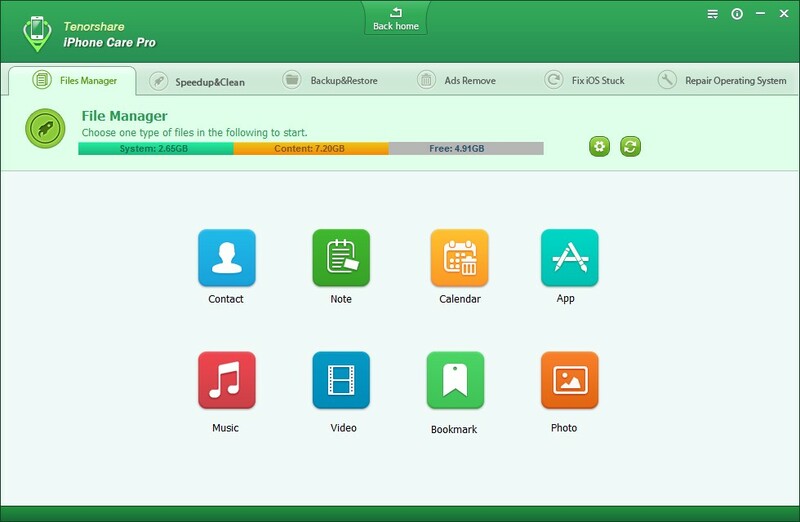 One of the things I liked right away was the incredible files manager, finally making it just as easy as for Android devices to have full control over my files and media. After browsing through my files and tidying them up a bit I went unto the clean-up section of the software. While the free version also comes with a scan and clean-up, the pro version of Tenorshare iPhone Care has a very easy to use clean-up tool that also comes with a deep scan. 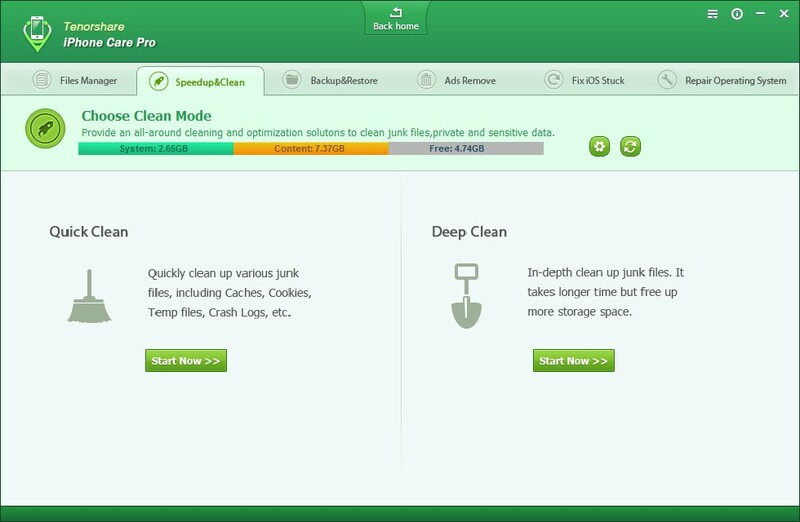 This deep scan makes sure there are no harmful files present on your phone anymore. While these last few features might be more traditional for this kind of software, Tenorshare Pro also offers you the possibility to remove ads in any app that you have installed on your phone. I thought it was too good for words but it really is an amazing tool and using apps has never been better. I also don’t have to worry about updating my system or getting stuck, because Tenorshare Pro has all these nifty little tools to get your phone up and running again. Add an incredible back-up tool to it and Tenorshare Pro really is a unique, one of a kind work-station for your iOS devices. Incredible features and easy to use—Tenorshare Pro really is a wonderful piece of software that everyone who is passionate about their iOS devices should give a try. It’s possible to install a free version of the software, but I’m sure you’ll want to upgrade to the pro version sooner or later because it is amazing.